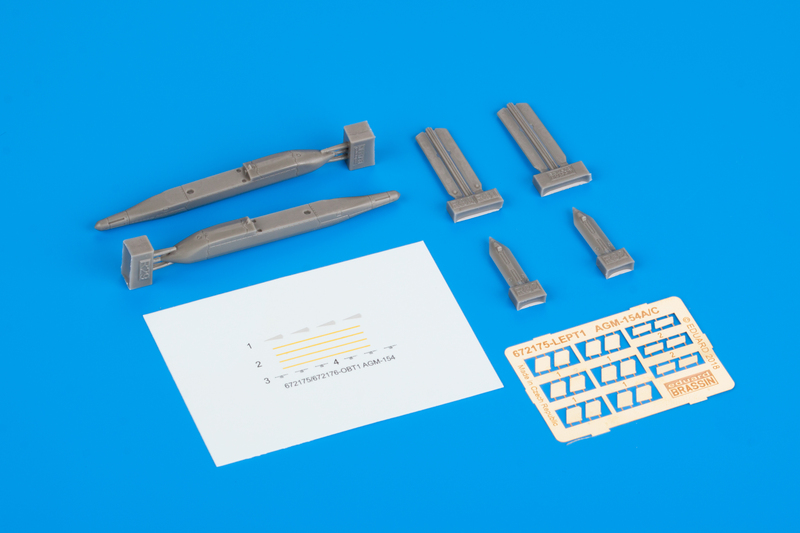 Brassin set - US guided missile AGM-154A/C Block I in 1/48 scale. 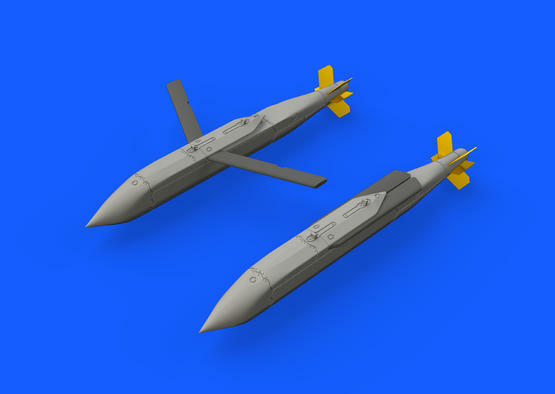 Used on F/A-18 from 1997. 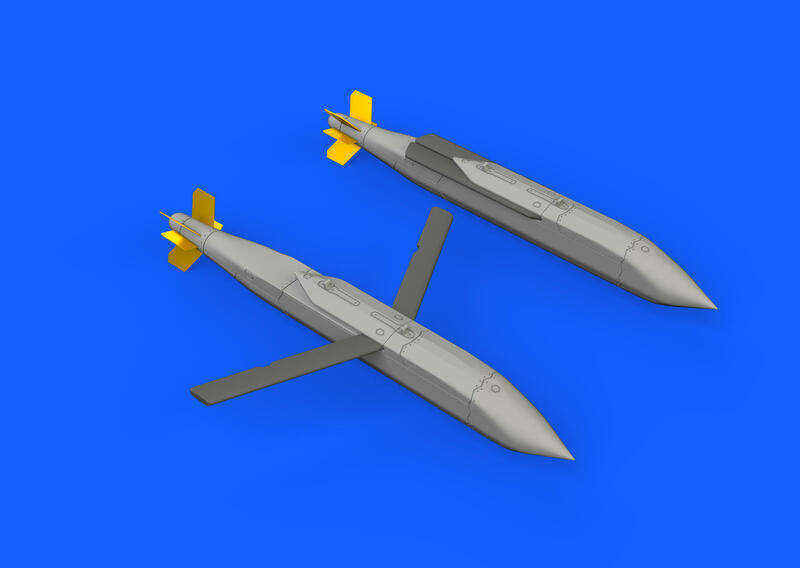 Set consists of two missiles. 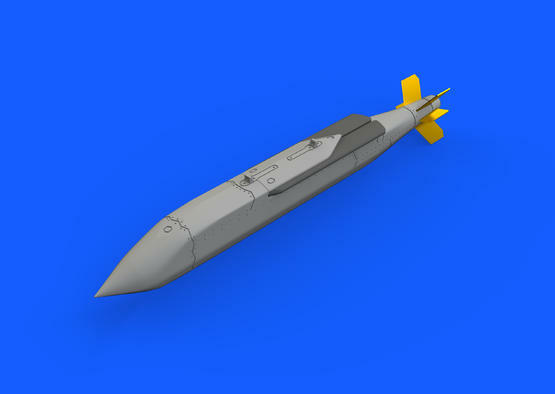 Can be assembled either in deployed or stowed positions.